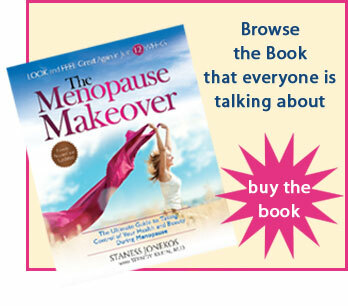 ← Will Your Marriage Survive Menopause? Here’s an example of international cooking at its fastest and best: a speedy Asian take-out favorite given an update with the Italian sparkle of basil, garlic and lemon. Combine clam juice (or broth), cornstarch and half the garlic in a small bowl; whisk until smooth. Set aside. Heat 1 1/2 teaspoons oil in a large nonstick skillet over medium-high heat. Add the remaining garlic and crushed red pepper to taste; cook, stirring, until fragrant but not browned, about 30 seconds. Add shrimp and 1/8 teaspoon salt. Saute until the shrimp are pink, about 3 minutes. Transfer to a bowl. Add the remaining 1 1/2 teaspoons oil to the pan. Add broccoli and the remaining 1/8 teaspoon salt; cook, stirring, for 1 minute. Add water, cover and cook until the broccoli is crisp-tender, about 3 minutes. Transfer to the bowl with the shrimp. Add the reserved clam juice mixture to the pan and cook, stirring, over medium-high heat, until thickened, 3 to 4 minutes. Stir in basil (or parsley) and season with lemon juice and pepper. Add the shrimp and broccoli; heat through. Serve immediately, with lemon wedges. Ingredient Note: Shrimp are sold by the number needed to make one pound–for example, 21-25 count or 31-40 count–and by more generic size names, such as large or extra large. Size names don’t always correspond to the actual count size.To be sure you’re getting the size you want, order by the count (or number) per pound. Per serving: 178 calories; 6 g fat ( 1 g sat , 3 g mono ); 172 mg cholesterol; 6 g carbohydrates; 0 g added sugars; 25 g protein; 2 g fiber; 520 mg sodium; 459 mg potassium. Nutrition Bonus: Vitamin C (120% daily value), Selenium (65% dv), Vitamin A (50% dv), Iron (20% dv).